Key members of the Global Rice Science Partnership (GRiSP) are meeting this week (25 February-1 March 2013) at IRRI Headquarters to further define the roles of the theme leaders and empower them towards these. 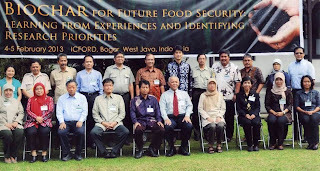 The GRiSP global theme leaders and focal persons came from AfricaRice, CIAT, Cirad, IRD, JIRCAS, and IRRI. 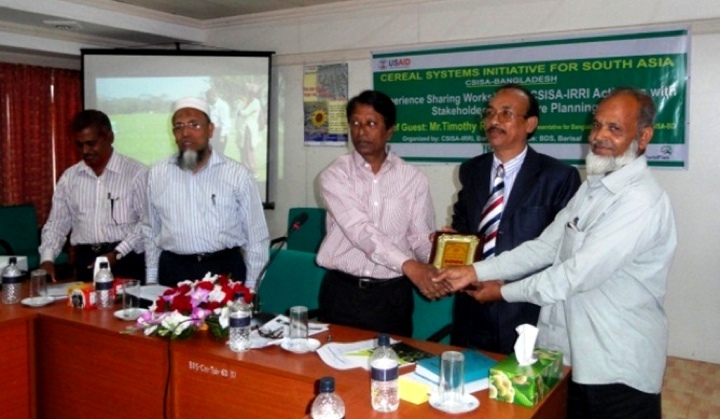 The Barisal Hub of the Cereal Systems Initiative for South Asia (CSISA) in Bangladesh organized an experience-sharing workshop held on 25 February for its stakeholders. The stakeholders, who were participants in the activity were composed of representatives from the Department of Agricultural Extension (DAE), Bangladesh Agricultural Development Corporation, and partner NGOs; staff members of partner NGOs working in the Barisal, Patuakhali, Jhalokathi, and Bhola districts; scientists from the Bangladesh Rice Research Institute (BRRI) and the Bangladesh Agricultural Research Institute; selected farmers; seed dealers; and representatives from various private companies, UN organizations, and projects. 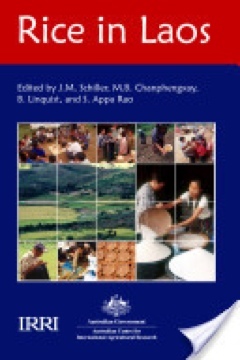 Rice in Laos, originally published in English in 2006, discusses the relationship of the Lao people with rice from historical, cultural, and agricultural perspectives. It has now been translated in Lao language and released in paperback. Rice in Laos was funded by the Australian Council for International Agricultural Research (ACIAR) and includes chapters on the history, traditions, and rituals associated with rice in rice production systems. 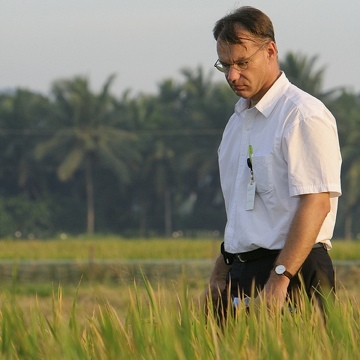 Bas Bouman, director of the Global Rice Science Partnership or GRISP, has just been invited as foreign member of the prestigious Royal Holland Society of Sciences and Humanities. The Society was established in 1752 by seven distinguished burghers of the city of Haarlem, in the then Republic of the United Provinces of the Netherlands, to promote science and, in the broadest sense, the arts. short-duration rice and mustard seeds (11 February). Dan Mozena, US ambassador to Bangladesh, recently visited activity sites under the Cereal Systems Initiative for South Asia (CSISA) project at Banshgata Village in the Satkhira District. CSISA activities in the area aim to test and introduce technologies that will allow farmers to improve their rice production and increase the number of crops they can grow. 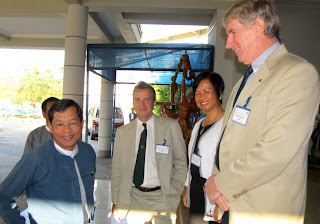 Meetings were held in late January to update Myanmar partners on activities involving IRRI in Myanmar, particularly in relation to four current projects funded by the Australian Centre for International Agricultural Research, the United Nations Development Programme, and the Swiss Agency for Development and Cooperation. 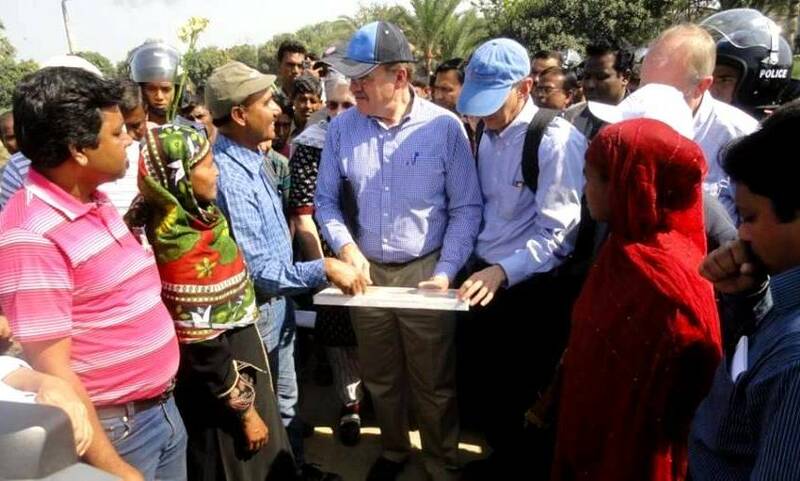 On the 31 January meeting held in Nay Pyi Taw, the national capital, U Myint Hlaing, minister of agriculture and irrigation, mentioned Myanmar’s emerging role in global food security and highlighted the importance of research to help the country increase production and to improve the quality of rice. 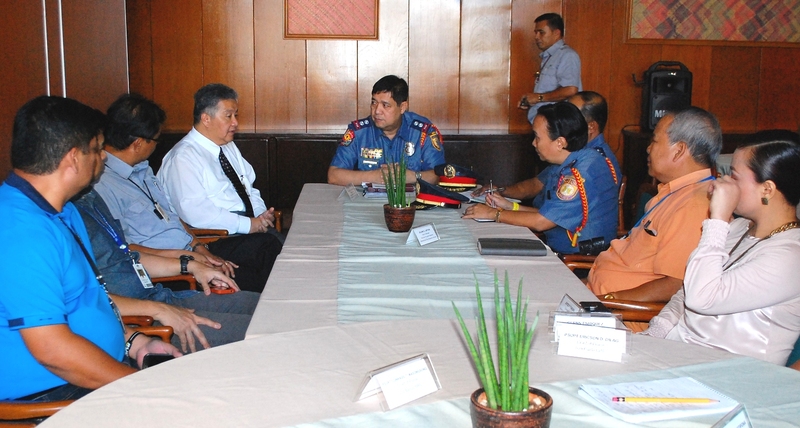 The chiefs of police from the three municipalities that host the IRRI Headquarters met with key IRRI officers on 8 February to discuss shared security concerns and responsibilities. P. Supt. Conrado Masongsong (Los Baños), PCI Pastor Castillo (Bay), and PO Flores (representing PCI Jesson Bombasito, Calauan chief of police) were welcomed by V. Bruce J. Tolentino, IRRI deputy director general for communication and partnerships. 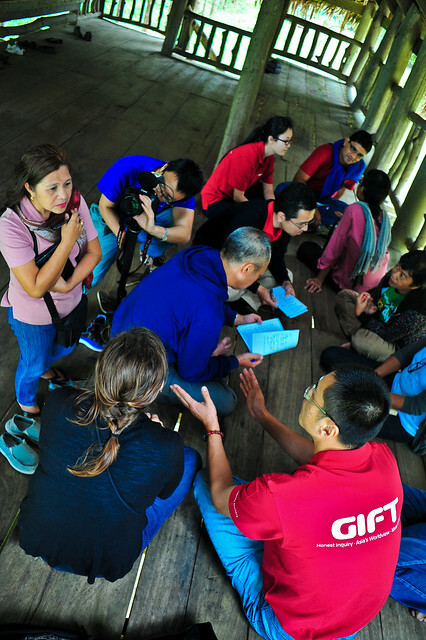 A new company that specializes in marketing web and mobile-based applications is what 24 young global leaders have proposed as one solution to bring the fruits of research to more people. In the culmination event of the 30th Global Young Leaders Programme (YLP) held in Makati, Philippines on 25 January 2013, the participants, who are professionals from different companies and non-profit organisations, presented their recommendations on how to commercialize research outputs, like the Nutrient Manager for Rice, in a bid to reach a larger number of beneficiaries. 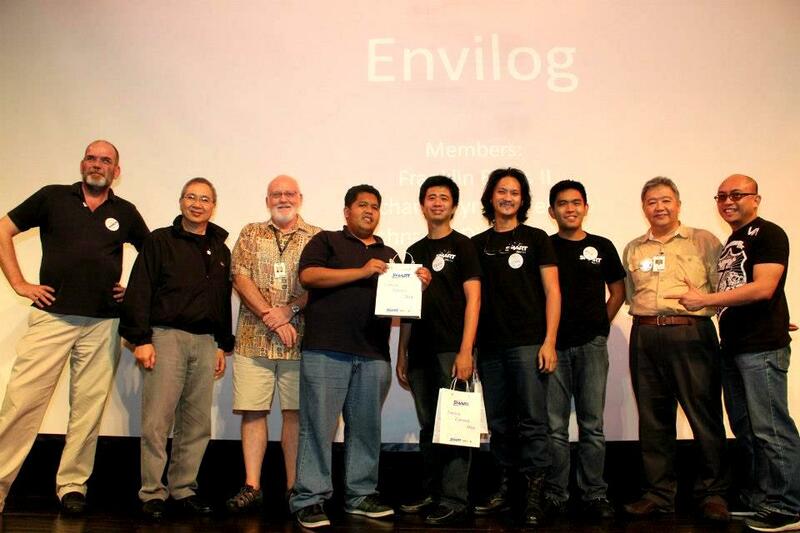 The Final Forum was hosted by the Asian Institute for Management (AIM). 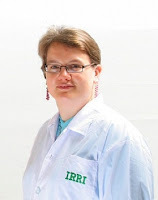 The 3rd Africa Rice Congress will be held on 21-24 October 2013 in Yaoundé, Cameroun. With the theme “Rice Science for Food Security and Agri-business Development in Africa,” the Congress will gather representatives from the public and private sector, civil society organizations, farmer associations, and research and extension communities engaged in the development of Africa’s rice sector. 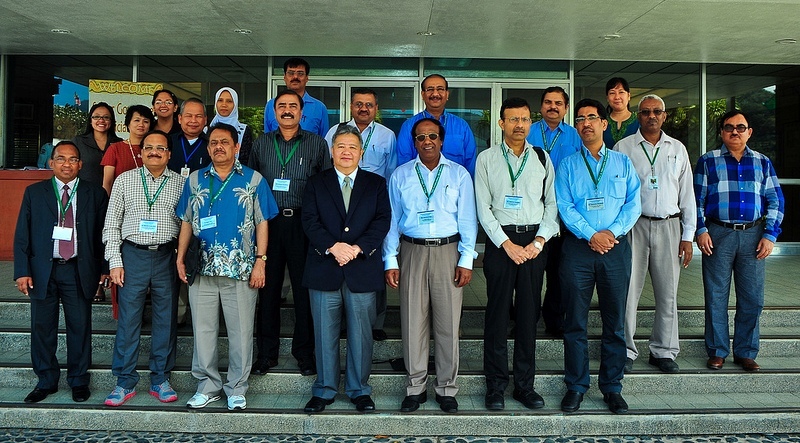 Senior government officials of South Asian countries India, Bangladesh, and Nepal came to IRRI for a 2-day awareness and consultation workshop on 4-5 February 2013. 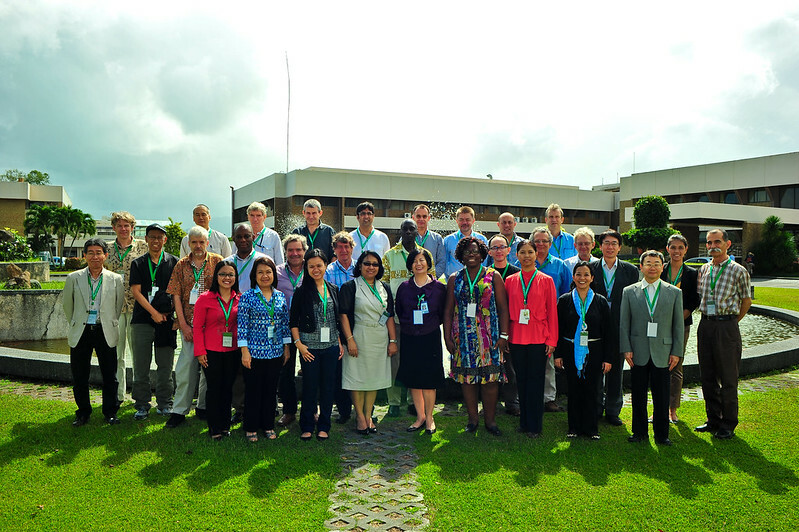 The visitors came to IRRI to learn about the Stress-Tolerant Rice for Africa and South Asia (STRASA) Project, coordinated by IRRI in South Asia, and about IRRI's other projects in their countries. They were welcomed by V. Bruce J. Tolentino, IRRI deputy director general for communication and partnerships, and Abdelbagi Ismail, IRRI principal scientist and STRASA project leader. 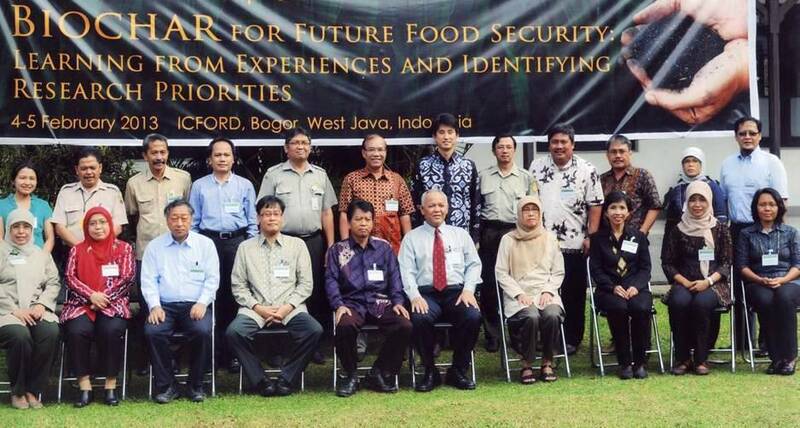 IRRI delivered a crop modeling training, one of a series, in Indonesia as part of efforts of the RIICE Project to help Asian countries monitor rice production using space-borne remote sensing combined with a biophysical crop model. The RIICE—or Remote sensing-based information and Insurance for Crops in Emerging economies, or RIICE (http://www.riice.org)—Project aims to develop a system that will merge satellite-based observation using the synthetic aperture radar (SAR) imaging system and crop simulation modeling to estimate actual rice yield and production in South East and South Asian countries. 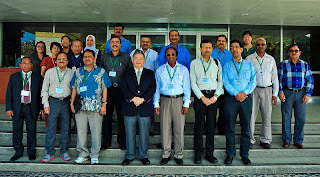 The IRRI India Office bid farewell M.S. Rao, who served as CEO for the CSISA Project until recently, with a lunch get-together on 30 January 2013. CG Center representatives in New Delhi, IRRI staff, and colleagues of Mr. Rao in CSISA came to wish Mr. Rao and his wife well.